The designs of most of our homes highly depend on the type of windows and doors we use, these two parts of our homes are not only meant for the purpose of beauty. Windows and doors have several functions in our homes than we can ever imagine, they represent an important portion of the external wall of our homes. They have the responsibility of regulating the temperature of our homes most especially when using the double glazed windows and doors. They play an additional role of offering views connecting the interior living space with the outdoors. However, windows and doors can make your home very uncomfortable if failed to use the right ones. They can be the reason for unwanted heat gain during the summer while causing abnormal heat loss during winter. With the use of the double glazed windows for your homes, you don’t need to worry about any of these things. They give your home a unique and advanced look while providing top protection for your family. 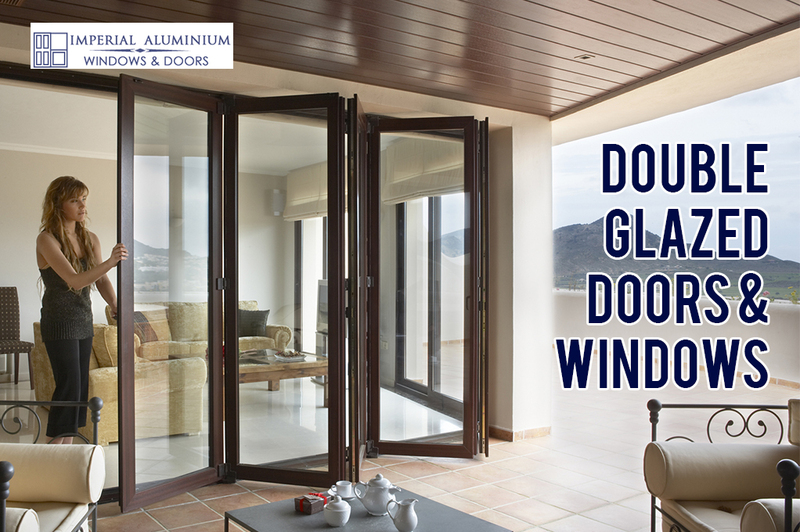 Double glazed aluminum windows and doors have been well known around the world as years pass with their outstanding reputations coming from everyone already in use of it. Double glazing is presently gaining grounds in Australia due to its known benefits. Western Australians are beginning to acknowledge the environmental and economic benefits provided by double glazing over the locally made glazing method all thanks to the upcoming legislation for energy efficiency. You should now have some doubt on what double glazed windows are, what they could look like, read further and be clarified. Double glazed windows and doors are made of two panes of glass which are separated by a layer of gas or air and then permanently sealed. This is designed to provide an advanced protection against outer temperatures. The two layers of glass are made to act as an insulator which reduces conduction. Double glazing with gas, most especially argon between the layers of glass has been considered to be good at insulation than those with just a sealed bag of air. Argon is mostly used for its ability to allow less cold to enter and less heat to escape because of its higher density level. All double glazed windows from Melbourne are made of the argon gas buffer. I will list below some top benefits gotten when using the double glazed windows and doors over the traditional glazing method. Reduced transmission of noise: A significant reduction can be made to the level of noise that enters your home. The reduction capacity can be improved when with the use of some special glass designs and installation method if required. This gives you quiet time in your home provide your children the time to study with any outer distractions. Enhanced energy efficiency and comfort: The use of double glazing will highly reduce your rate of energy consumption regulating your home temperature which would have been done by air conditioners. Double glazing can as well play a role in the greenhouse gas reduction. The energy rating assessment of your home will be improved with Double Glazing. Little or need for window covering: Curtains with lighter weight or less expensive blinds can be used to cover doors and windows where need be of privacy. Inside to outside view can be improved by not using window curtain where privacy is not an issue. Improving windows to the modern Australian Standard: There are some requirements to meet the glazing safety code which older homes may not be up to standard. Performing a glazing renovation on older homes will enhance thermal/acoustic benefits and increase the safety of your doors and windows. Advanced security level: Double glazing is always done with thicker and safer glasses capable of giving your home an advanced security level. To further improve the security of your double glazed units, special laminated glasses will be of great help. Condensation reduction: Most existing home are known to face a common problem on the inside of their windows known as condensation when its winter. Condensation is often caused by warm humid air concentrated on a fairly cold surface of a window with a single layer of This condensation can be completely eliminated even in bathrooms with the use of Double glazing and your window lifespan can be increased with this. Increase your home value: Just in case you want to sell your home with double glazed windows on it, it can be done with lots of ease as the buyers scramble for your property. Are you located in Australia and would love to have you’re the windows and doors your home covered with double glazed glass, Imperial Aluminum has all the requirements to provide the best double glazing services. We provide the best double glazing services in Melbourne and across Australia.